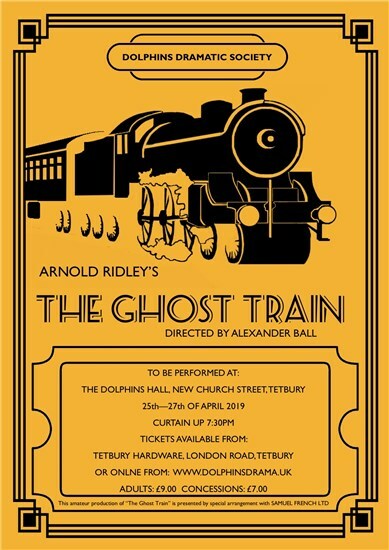 Tickets for Ghost Train can be bought in advance from either Tetbury Hardware on London Road, or online from ticketsource. Please note that a small booking fee (10% of the total) is payable for all tickets booked via ticketsource. Tickets from Tetbury Hardware will be available to the day before WITH NO BOOKING FEE, any remaining tickets will be on the door. about every performance sold out! The classic Mike Leigh situation comedy from the 1970s. Beverly and Lawrence are holding a little evening social with their new neighbours, Angela and Tony as well as Susan a friend from down the road whilst her own teenage daughter Abigail is holding a party of her own. The Sleeping Beauty, by Ben Crocker; a classic tale of a beautiful princess, an evil curse, talking cats and of course, a love story. All set over the course of about 118 years, including an interval.